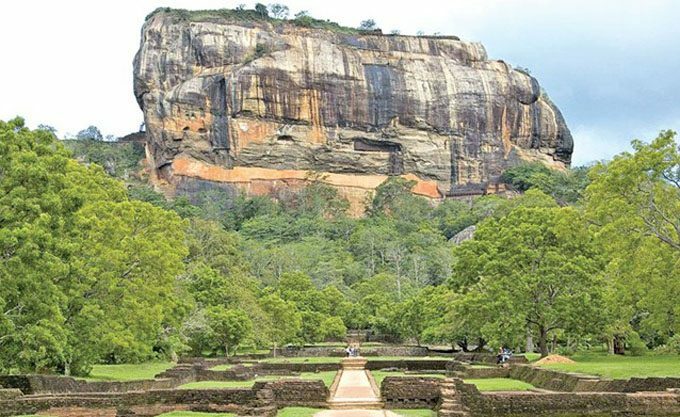 circa 300 BC: LANKA was the earliest name by which this island was known and was thus referred to in the ancient Indian epic, the Ramayana. Alexander the Great’s Admiral of the Macedonian Fleet, Onesicritus and Megasthenes, the Greek Ambassador to the Maurya Court of India wrote of Taprobane, the name by which Sri Lanka was known to the Greeks and derived from ‘Tambapanni’ the name given to the island by early colonizers. It was also the name used by Ptolemy, the Egyptian cartographer who produced the first map of the island. Anuradhapura, the ancient capital of Sri Lanka had designated a Western section of the city for Greek settlers, known to the Sinhalese as ‘yona’ derived from the Persian “Iona”. A delegation of ‘yona’ priests attended the crowning of the great stupa of King Dutugemunu (161 – 131 BC). circa 50 AD: Roman historian Pliny the Elder writing of the beauty of Taprobane in the 6th book of his 37 volume Natural History mentions that the elephants of Taprobane were bigger and better for warfare than those of India. In 45 AD, a Roman vessel sailing the Indian Ocean was seized by the King of Lanka and brought to the port of Hippuros, now Kudiramalai. The ship’s captain Annius Plocamus quickly learnt Sinhala and in conversations with the king informed him of the Roman concepts of Justice, whereupon the king despatched an embassy of 4 envoys to the court of Augustus Caesar, headed by Ambassador Rachius. This resulted in the establishment of diplomatic relations and enhanced trade between Rome and Sri Lanka. 410 AD: “A Record of Buddhist Kingdoms” by Chinese scholar Fa-Xian records his travels in Sri Lanka, during a two-year internship at the Mahavihara monastic academy in Anuradhapura. He wrote that ” this country is an oasis; prosperous and happy; its people are well to do…” and that the Mahavihara had 5000 resident scholars who prayed before a colossal 20 cubit high Buddha statue carved of green jade, embellished with gems and pearls. 470 AD: Historically authenticated evidence of flourishing domestic tourism, found in graffiti on mirror wall at Sigiriya,in sight of the frescos, where visitors scrawled poetry in adulation of the “heavenly maidens”, they had come “a long way to see”. 1290: Serendib, as Sri Lanka was then known, to Arab traders, becomes important destination on the “silk road on the sea”. 1293: Marco Polo arrives in a naval convoy escorting a princess of the court of Kublai Khan to marry the Khan of Persia. He describes Sri Lanka as “the best island” in the world. 1505: The first Western Conquistadors, the Portuguese arrive, rename the island Ceilao. Jesuit Fr. Queyroz records their ‘Temporal and Spiritual Conquest’ of the maritime provinces. 1640: King of Kandy invites the Dutch to oust the Portuguese, from the maritime provinces. They stay to rule and rename the island Ceilan, giving rise to the adage, “like exchanging ginger for pepper”. 1815: Kandyan chiefs cede Sri Lanka to British Crown, under the Kandyan Convention, thus ending 2500 years’ lineage of Sri Lanka Monarchy. British rename island, Ceylon. 1864: Galle Face Hotel, the oldest hotel east of Suez opens in Colombo. 1896: Mark Twain arrives, exclaims “dear me, it is beautiful…a dream of fairyland and paradise”. Writes glowing account in book Following the Equator. 1937: Government Tourist Bureau set up to serve cruise pax on shore excursions..
1946: P.A. Ediriweera starts country’s first travel agency, Ceylon Tours Ltd., with Justin Kotelawala, D.B.Dhanapala and Rosalind Koch as Directors. 1946: The island’s first overseas tourism promotion held in New York at the Waldorf Astoria by Ediriweera and Kotelawala. First Ceylon tourist promotion advertisements published in The New York Times. 1947: Air Ceylon, the national flag carrier begins operations. 1948: Ceylon gains political independence from Britain. 1954: PATA introduces Ediriweera to United Artistes, Horizon Pictures and Universal Studios and jointly conduct first promotion to induce movie production in Ceylon. 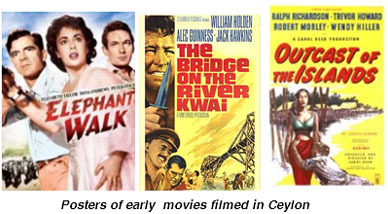 1955: Ceylon Tours is first PATA member in Ceylon followed by Ceylon Express, GFH and Quickshaws. 1957: ‘Bridge on the River Kwai’ with Alec Guinness and William Holden, filmed in Ceylon. 1961: PATA releases Checchi Report urging formation of National Tourism Offices for planned development and promotion of tourism. 1966: Ceylon Tourist Board and Ceylon Hotels Corporation are established, on blueprint recommended by PATA Checchi Report for planned development/promotion of tourism. 1967: Ceylon’s first ten-year Tourism Master Plan is launched. 1970: Ceylon’s first planned holiday resort opened in Bentota on architecture plans by PATA Life Member, Pete Wimberley. 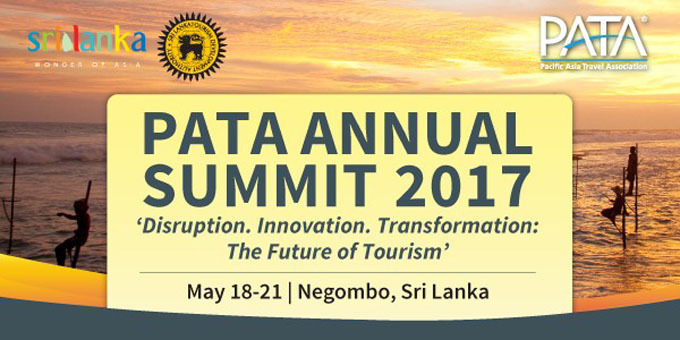 PATA holds first meeting, in Bentota, a Board meeting. 1970: Age of Mass Tourism dawns with introduction of Jet engines on commercial aviation by Pan American World Airways. Charter loads of European tourists arrive in Ceylon. 1970: The World Tourism Organization is formed. 1972: Ceylon reverts to its original name, Sri Lanka. 1973: BMICH, first purpose built international convention center in south Asia, opens in Colombo. 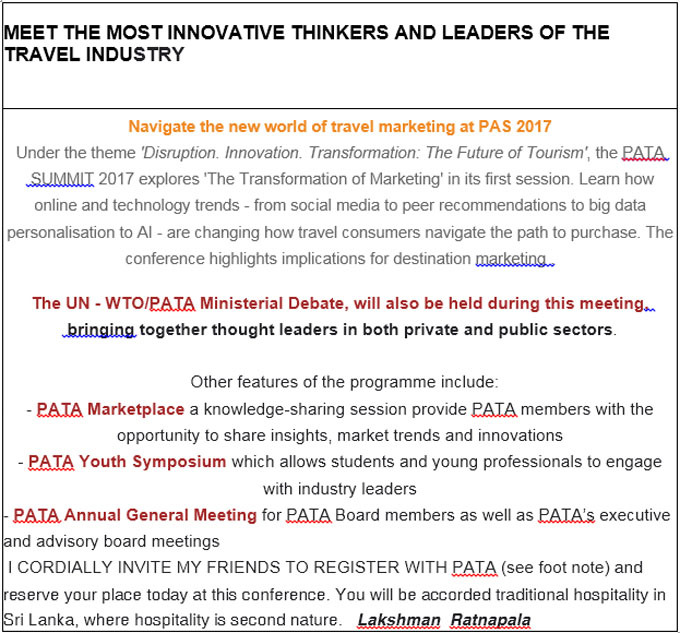 1992: Lakshman Ratnapala, is inducted PATA President & CEO, becoming the only Sri Lankan in history to lead a global travel industry organization, as chief executive, and the only Asian chief executive in 65 year history of PATA. 1996: Sri Lanka national cricket team wins the World Cup boosting the country’s tourism promotion. 1999: SriLankan Airlines is launched. 2004: Boxing Day tsunami devastates island’s coastal belt with tourist resorts, but the country quickly recovers. 2009: Long national nightmare of 30-year war on separatist Tamil terrorism ends, in victory for government forces. The peace dividend heralds a resurgence in tourism. 2010: Hiran Cooray of Jetwing Hotels elected PATA Chairman for 2-year term. 2011: Visit Sri Lanka Year. 2012: Sri Lanka welcomes one millionth tourist during the year. 2015: National earnings from tourism reach US$ 3 billion. 2016: Sri Lanka Tourist Board celebrates 50th anniversary and Ceylon Tours its 70th anniversary of founding.